Saturday’s G/45 Quads were composed of 8 sections! In Section 1, William Graif earned first place by winning all three rounds! Section 2’s victor, Ryan Young, won the first two rounds and drew his third obtaining 2.5/3 total points! 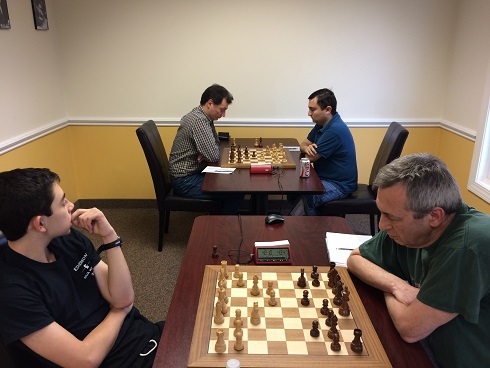 Leo Bykhovsky emerged victorious in the 3rd section. His triumph in the 2nd and 3rd rounds combined with a draw in the 1st, allowed him to acquire 2.5/3 total points. 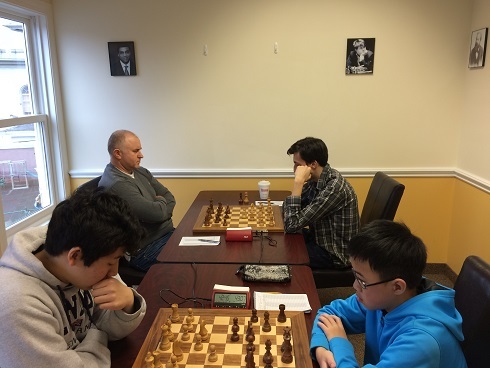 Andrew Rogozinski mirrored Leo Bykhovsky ‘s results, earning a 1st place position in the 4th section. Section 5 held 2 victors for the 1st place! 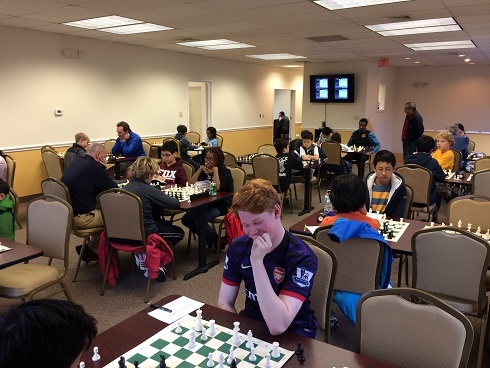 William Ewald and Sakura Laporte tied with matching results consisting of a draw and two wins. Beatrice Low prevailed in section 6 by earning 2.5/3 total points! Section 7 named two players champions. Michael Fotin and Carl Scovens earned 2.5/3 total points with a draw in the final round. Section 8, a six player Swiss, awarded 1st place to Bilal Memon. Memon won all three rounds earing 3/3 total points! Congratulations to all the winners! We hope to see you soon!